MLN Company is a full-line mechanical contracting company, offering a complete list of building and contracting services, such as HVAC systems, building management systems, plumbing, sheet metal work, and maintenance and repair. MLN Company has been serving the Houston area for more than three decades and has an impressive array of professional expertise in building. 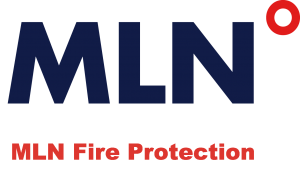 The Fire Protection division at MLN Company is dedicated to serving businesses and commercial buildings all over Houston and the surrounding area, including Harris County, Fort Bend County, Montgomery County, Brazoria County, and Galveston County. As with any of our services, our expert fire protection team offers design/build, prefabrication and installation services that are designed to exceed the expectations of each of our valued clients. With employee, tenant, and client protection being our number-one priority, our focus has always been keenly aimed at providing superior fire protection systems. Since 2012, we’ve been meeting the demands of strict and complicated building codes, while working with unique architectural features. We’ve designed hundreds of widely-varied systems to ensure complete personal and asset protection. Using only the most innovative CAD-based software, we ensure complete protection and coverage. We use industry-leading equipment to ensure that each system layout we create is as efficient as possible, keeping water usage to a sensible minimum while covering each square inch of your facility. From sprinkler systems to fire pumps, our experienced team is knowledgeable in all fire protection systems and designs, providing safety and peace of mind on a daily basis. Adding fire protection to our long list of building services has allowed us to become one of the most respected and sought-after building services firms in the Houston area. Find out why by scheduling your comprehensive building plan assessment now.